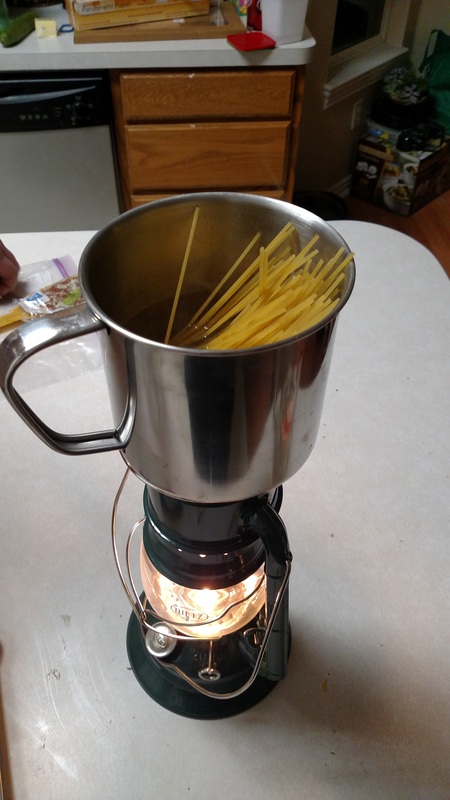 We used our lantern to cook Myzithra cheese spaghetti because all you need is enough heat to boil water. And it is made entirely out of ingredients that can last for a while outside of refrigeration. And we really like it. 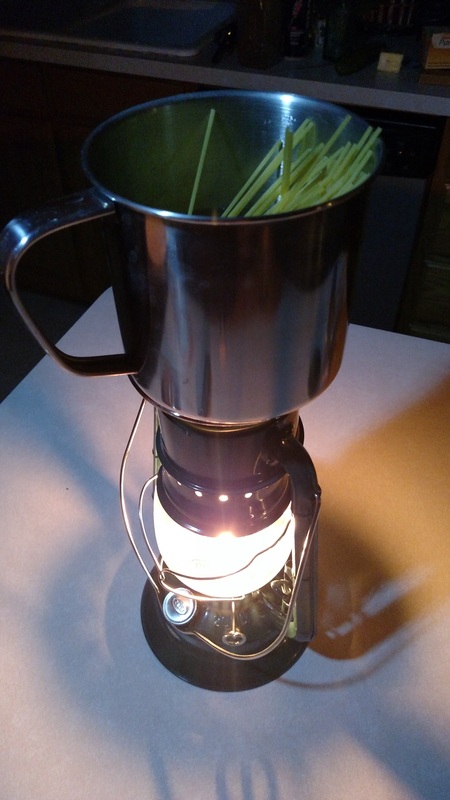 We bought this Dietz lantern at our local amish store because it came with a frame to put on top to hold a pot. You can also find it on Amazon. If your lantern doesn’t come with a frame, you can improvise something. The recipe is really simple. 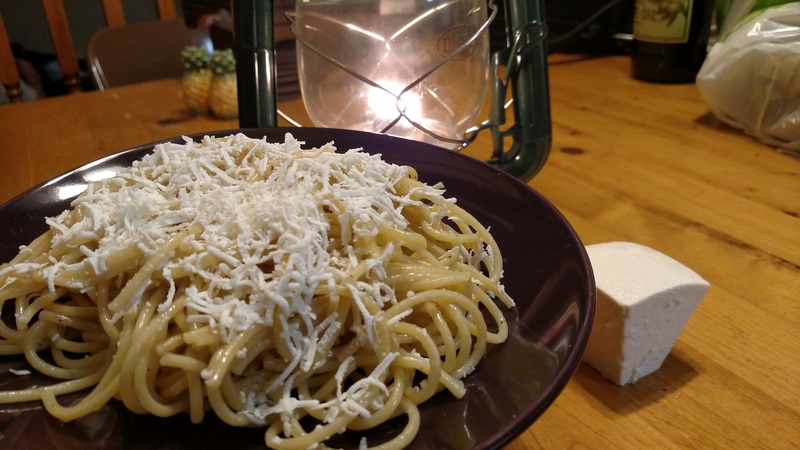 If you are sad about the simplicity and want more commentary about using the recipe to woo someone, you can look at our post on Instructables. Boil water and cook spaghetti in it. 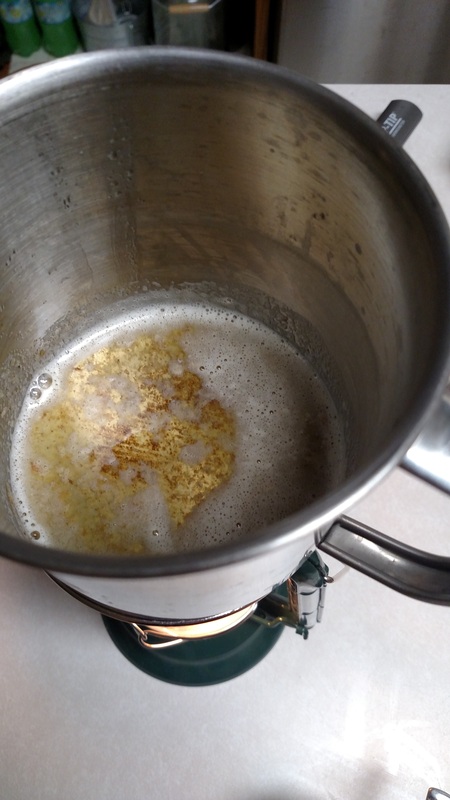 Remove the pasta and pour out the water, then put butter into the pot and allow it to brown, stirring frequently. You’ll know it’s done when it turns golden brown and has a slightly nutty aroma. Mix the butter and spaghetti in your bowl or a pot. 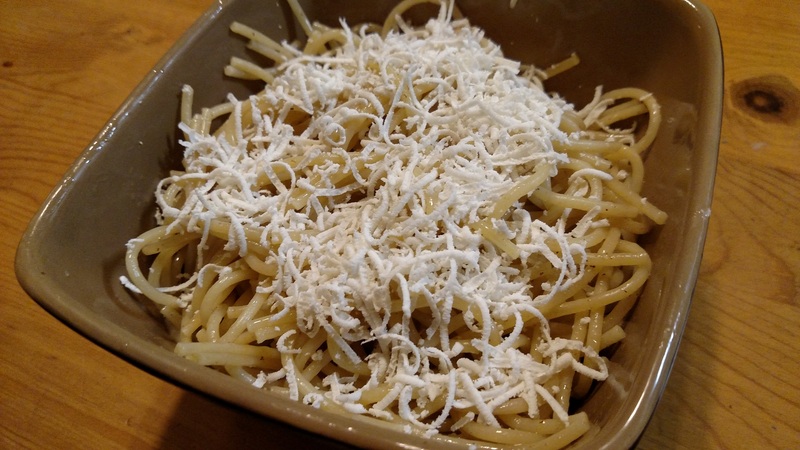 Grate Myzithra cheese on top. And enjoy your romantic lantern-lit dinner. Once dinner is over, you can play a nice game of Canasta or just go to bed until the power comes back on. We won’t judge either way.